Parrot 7.7.0 "Red-headed Lovebird" released! 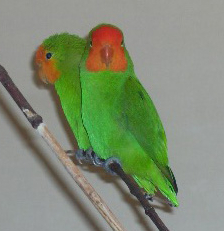 On behalf of the Parrot team, I'm proud to announce Parrot 7.7.0, also known as "Red-headed Lovebird". Parrot is a virtual machine aimed at running all dynamic languages. Thanks to all our contributors for making this possible, and our sponsors for supporting this project. Our next scheduled release is at 15 Sep 2015.